Joe K. Edwards serves as Chief Executive Officer for HealthSCOPE Benefits. In this capacity, Joe is responsible for overseeing the Benefits Administration, Information Systems, Finance and Human Resources for the organization. He previously served as Chief Operating Officer for HealthSCOPE Benefits. Joe served as Senior Vice President of Finance for CNA Health Partners, HealthSCOPE Benefits’ predecessor company. 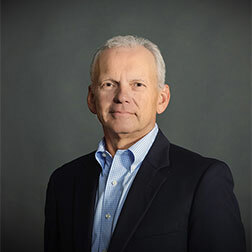 Prior to employment with CNA Health Partners in 1991, Joe served as the Chief Financial Officer for Burgett & Dietrich, Inc. and as Chief Financial Officer for Nabholz Construction Company. Joe received a Bachelor of Arts degree in Accounting from Ouachita Baptist University in Arkadelphia, Arkansas and is a Certified Public Accountant.